What’s better than Mashed Potatoes? A purple pet pterodactyl. But I don’t have one of those, so the answer is…..
A crap ton of mashed potatoes! 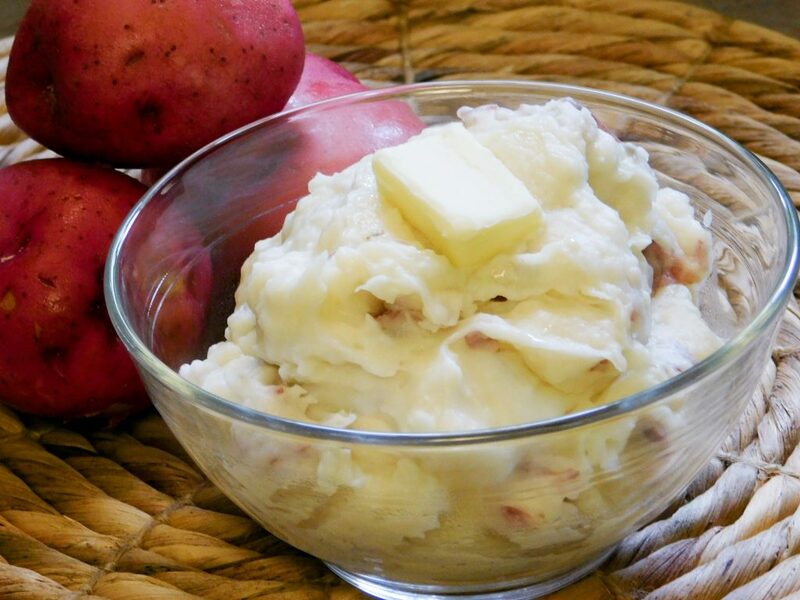 Growing up, a big ‘ol pot of mashed potatoes was a staple at every holiday meal. It was my Gran’s job to make them and it was one of the few things she made well (cooking was not her forte). 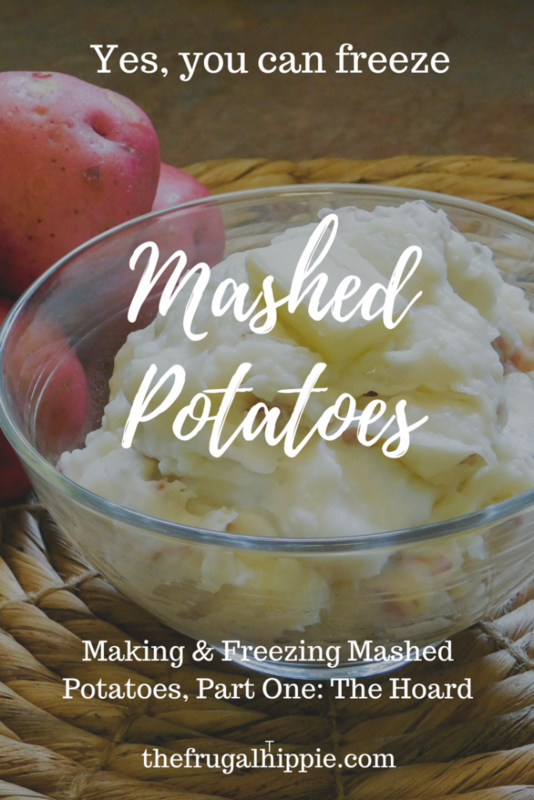 She would start early in the morning prepping, peeling, boiling, and mashing potatoes. One holiday (I believe it was Easter), we ran out. Of potatoes. We. Do. Not. Run out. Of mashed potatoes. We all stared at the empty bowl like it had sprouted lips, spun it’s head around, spewed out it’s contents, and began speaking in tongues. Horrors like this do not happen to good families like ours! Not to be undone by this tragedy, and true to her persistence in the face of adversity, on the next holiday Gran made two more pounds of mashed potatoes. We ran out. Again. This can’t happen twice! Not to our family! What have we done? What potato god have we angered? 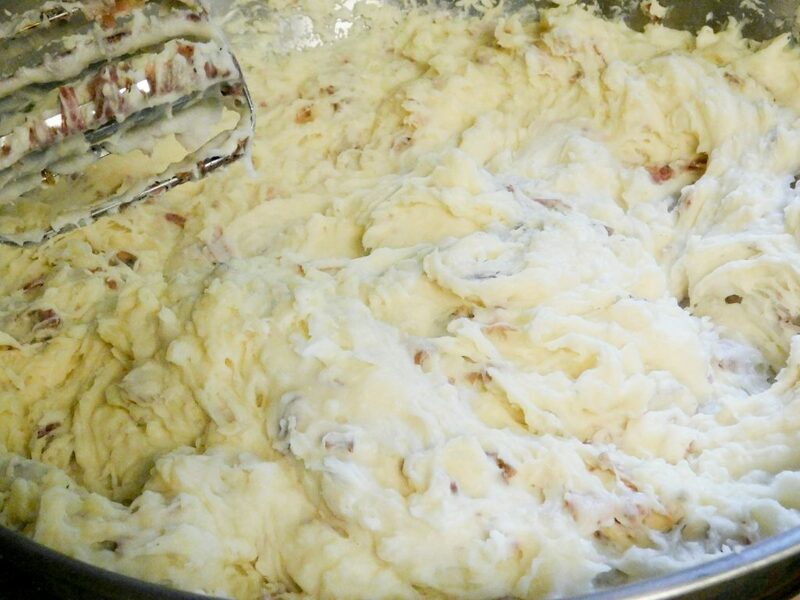 The next holiday came, and Gran made five more pounds of mashed potatoes. Surely we couldn’t possibly run out now. Except for that we did. This continued on until the day that our Gran passed away. Make more potatoes, run out of potatoes. Like being stuck in potato purgatory. What baffles me to this day is how no one questioned the two boys who crawled to the couches immediately after dinner, alternately giggling like evil little creatures, and clutching their guts in agony, their stomachs bloated like a roadkill carcass on a hot July day. You see, my brother and cousin made a secret potato pact that lasted into adulthood: to run Gran out of mashed potatoes at every holiday. And they succeeded. Since you can’t pray someone out of potato prank purgatory, I’ve devised an alternative, so a tragedy like this would never happen to our good family again. Or yours. And I’m gonna share how to make ’em. Now you too can stand giggling like an evil genius while whipping pack after pack of delicious mashed potatoes from the freezer at the potato pact perpetrators while they lay crying in a corner, foaming potatoes dripping from their mouths, begging for it all to end, stuck in the distended despair of defeat. In this post, we’ll show ya’ how to make them. 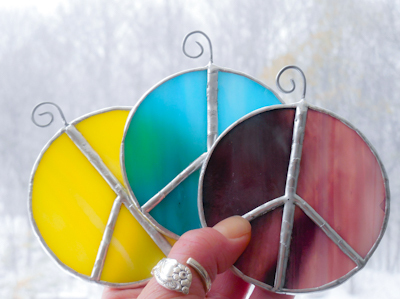 In the next post, how to freeze, store, and thaw them. Frugal Hippie frugal tip – Sourcing potatoes in bulk: Check with your local farmer or at your local farmer’s market for deals. A five pound bag of red potatoes at our grocery store is $5.00. We can get 14 pounds at a farm stand down the road for the same price. 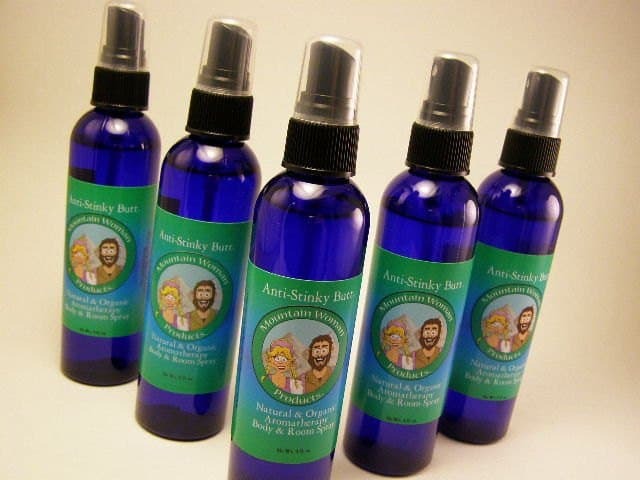 Cheaper, fresher, and we’re supporting small business. Win, win, win. First, cut up 5 lbs of potatoes (peeling is optional, we don’t). 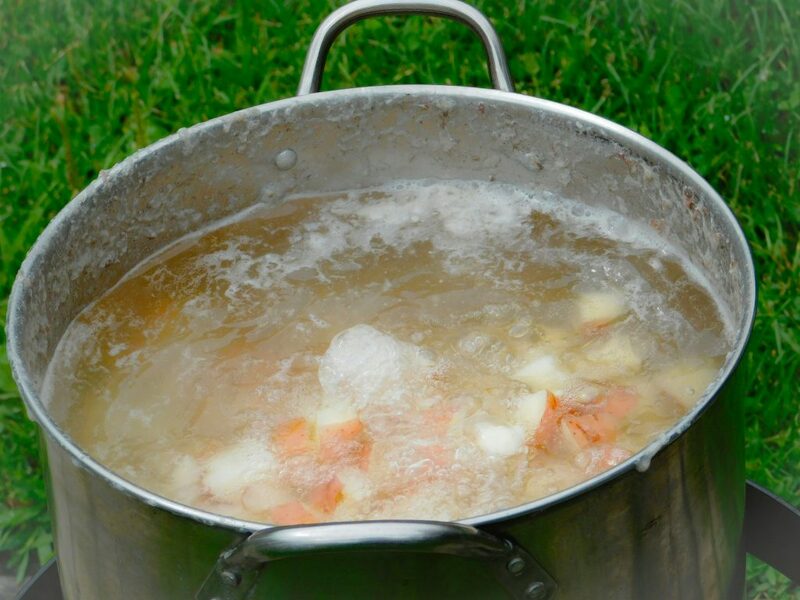 Fill your pot 2/3 – 3/4 full of potatoes and add water to cover them. Put your pot on the stove on High to boil. Frugal Hippie Tip: We like to use the turkey fryer outside as we can use a bigger pot and it doesn’t make the house so stinkin’ muggy & hot. They’re great for water bath canning too. If you’re in the market for a decently priced turkey fryer, here’s a good one. Cook until potatoes can be easily cut with a spoon. Drain and transfer potatoes into a very large bowl. You can mix and mash them in the pot if you don’t plan on making another batch. 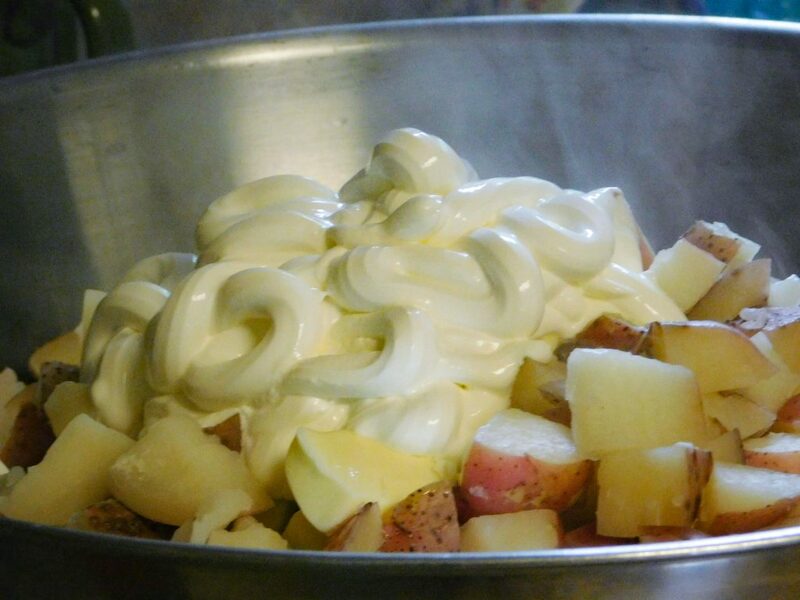 Add 3/4 lb butter, 1 1/4 cup sour cream, and 2 tsp salt. Allow the butter to melt. Mash and mash and mash. Look at those mashed potato clouds! Now you and your relatives can try to eat the entire batch in one sitting. Or you could do the less uncomfortable (& more frugal) thing, and learn how to freeze, store, thaw, and serve them in our next post!